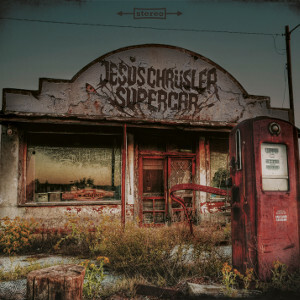 JESUS CHRÜSLER SUPERCAR is a Swedish Death 'n' Roll band, drawing on cool stylistic devices: down-tuned guitars, the usage of fuzz and overdrive pedals, soaked grooves and smooth lyrics. They debuted with the album “Among The Ruins And Desolate Lands” (2013), and was celebrated by the press as much as by the fans. Then the band released the EP “Full Blown Hell” (2014) through vönHell Records and the second album “35 Supersonic” (2016) through Rodeostar Records. The latest album “35 Supersonic” released on March 18th gained a high reputation from fans and media from the world. This trio delivers the perfect sound between the 90s’ dirty rough Rock 'n' Roll and the up to date Death 'n' Roll mace. 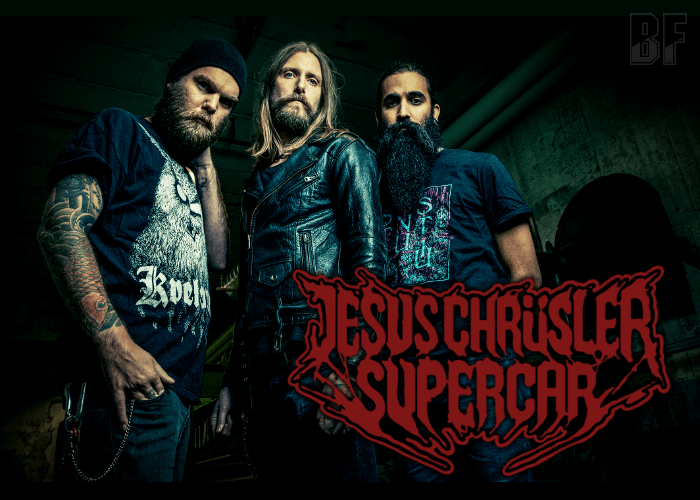 JESUS CHRÜSLER SUPERCAR has already caused a worldwide sensation with the brilliant music clips for their each singles “Killing Machine”, “Pitchfork”, “God Gave Me Nothing” and “From Hell”. The band has been toured home country, Finland, Netherlands and Germany with Warrior Soul, Spiritual Beggars, Chainerection and Junkstars, and will support for Clutch on their “Psychic Warfare World Tour” in this August.